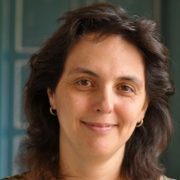 Teodora is the head of the Department of Hydrogeology, Geological and Geophysical Institute of Hungary (MFGI). Her main research areas are: survey and hydrogeochemical evaluation of shallow and deep groundwater with emphasis on arsenic, water-rock interaction, and hydrogeological modelling of the different flow systems including stable and radioactive isotopes. She was the hydrogeochemical expert in the evaluation of the groundwater bodies in Hungary for compliance with EU directives. She took part in several projects as a hydrogeochemical expert. She continues her activities also as hydrogeochemical expert in international projects, in the last decade focusing on transboundary joint aquifer surveys and management and thermal water related geothermal energy resource evaluation. She has almost 40 publications and more than 120 internal reports. She is active in several associations and scientific groups, including member of the International Association of Geochemistry, national representative for Hungary in the Water Resources Expert Group of EuroGeoSurveys, member of the Hydrogeological Subcommittee of the Hungarian Academy of Sciences (2012-) and is Vice President of the Permanent Hydrological Interdivisional Committee of the Hungarian Academy of Sciences since 2015. Since 2012 she has been the Vice President of the International Association of Hydrogeologists (IAH) in different functions, as Vice President for Europe (2012-2016) and as Vice President for Finance and Membership (2016-).